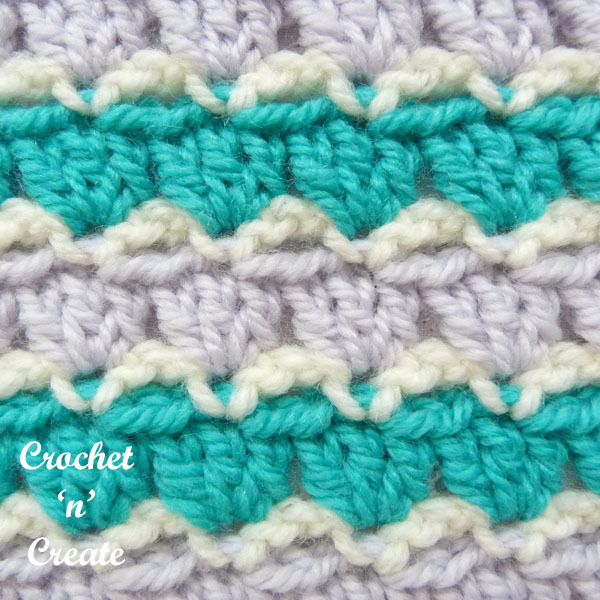 Single Crochet Group Stitch – Easy to crochet small textured stitch pattern, learn how to make it from my tutorial below. Use for projects like dishcloths, potholders, washcloths or place mats etc. a lovely stitch which is written in both formats USA and UK, scroll down to get the format you want. This entry was posted in Crochet Stitches, crochet tutorial, How To and tagged crochet, crochet stitches, crochet tutorial, How too on 18th April 2019 by crochetncreate. 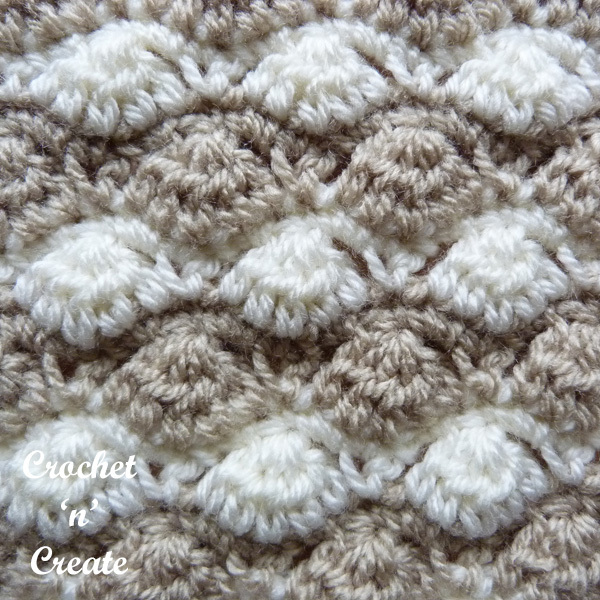 Raised Textured Group Stitch – Learn to crochet this raised group stitch, it gives a soft warm textured look and feel and is great for projects such as baby blankets afghans or throws etc. This beautiful stitch is explained in USA and UK written instructions below, just scroll down the post to get the format you work with. This entry was posted in Crochet Stitches, crochet tutorial, How To and tagged crochet, crochet stitches, crochet tutorial, How too on 11th April 2019 by crochetncreate. 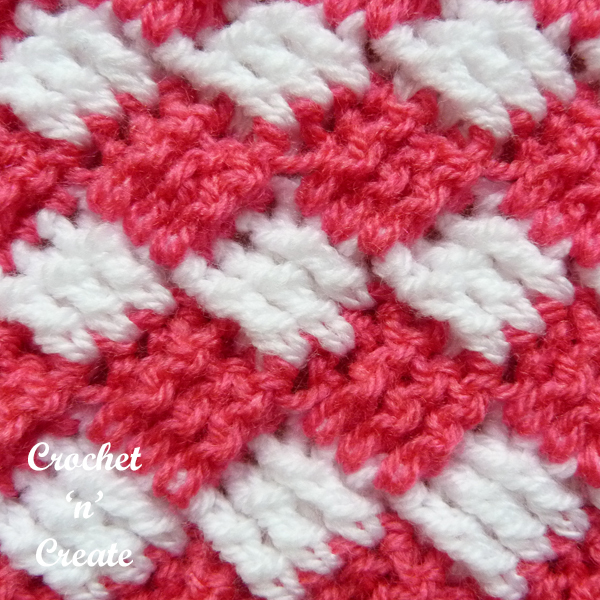 Parquet Crochet Stitch Tutorial – Made in two rows this stitch design is quick and easy to learn, crocheted in a worsted #4 weight yarn or UK aran. By using a thicker yarn you get a lovely thick feel to your work, ideal for throws, afghans or cuddly warm baby blankets. The instructions below are written in USA and UK formats, scroll down the page to get them. This entry was posted in Crochet Stitches, crochet tutorial and tagged crochet, crochet stitches, crochet tutorial, How too on 4th April 2019 by crochetncreate. 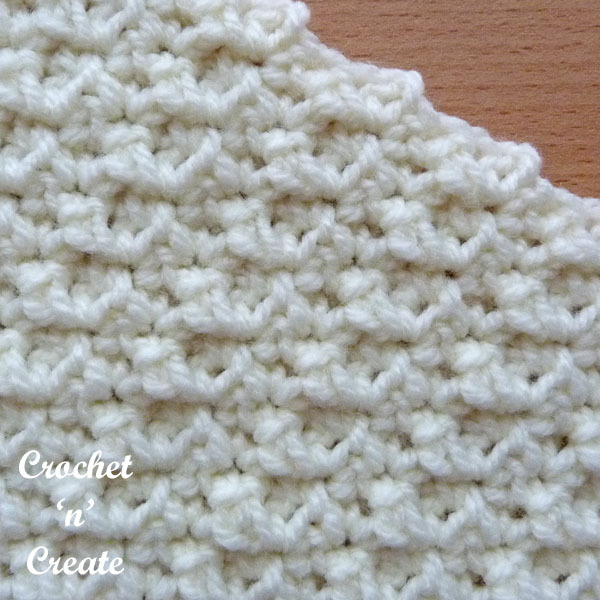 hdc3tog Crochet Stitch Tutorial – The hdc3tog is worked over 3 stitches to make just one stitch, beautiful design that can be used for a lot of items including babywear, blankets, throws and tableware. Both formats of USA and UK are available, scroll down the page to get the instructions. This entry was posted in Crochet Stitches, crochet tutorial, How To and tagged crochet, crochet stitches, crochet tutorial, How too on 28th March 2019 by crochetncreate. 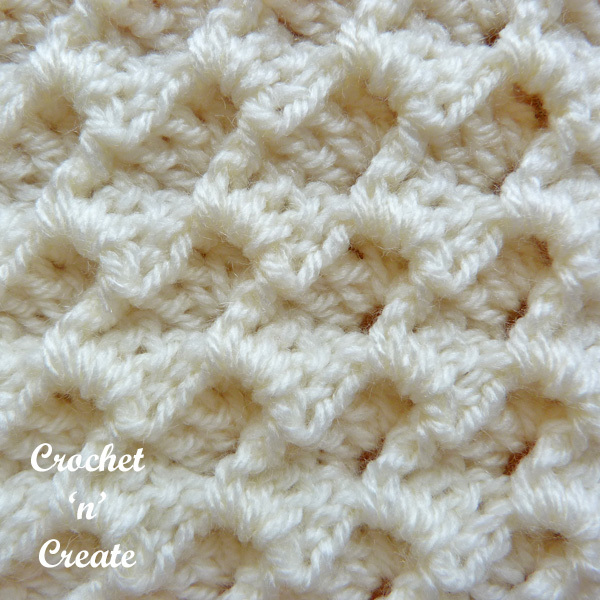 Diagonal Box Crochet Stitch – Made in treble crochet and double crochet stitches this gorgeous pattern produces a lovely soft texture which is ideal for dishcloths, washcloths, blankets or cozies. USA and UK formats are available, scroll down the page for both. This entry was posted in Crochet Stitches, crochet tutorial, How To and tagged crochet, crochet stitches, crochet tutorial, How too on 21st March 2019 by crochetncreate. 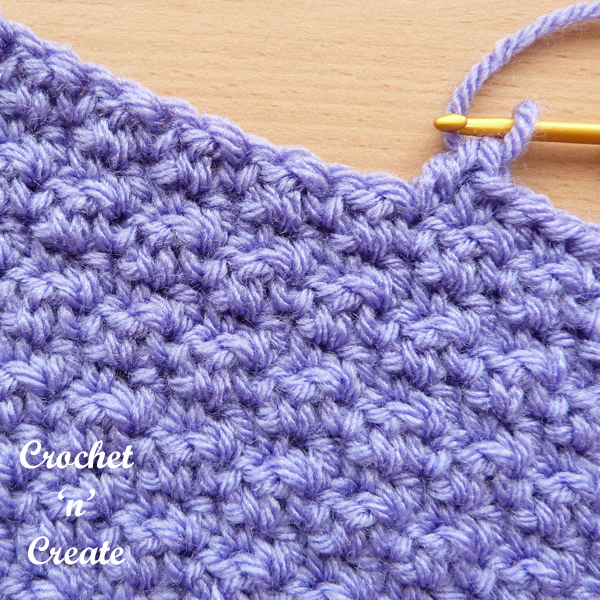 Scallop Stitch Crochet Tutorial – This Beautiful textured stitch can be used in many ways. You can incorporate the design into afghans, throws, shawls, bags or purses, I have written the instructions in both USA and UK formats, please scroll down for both. 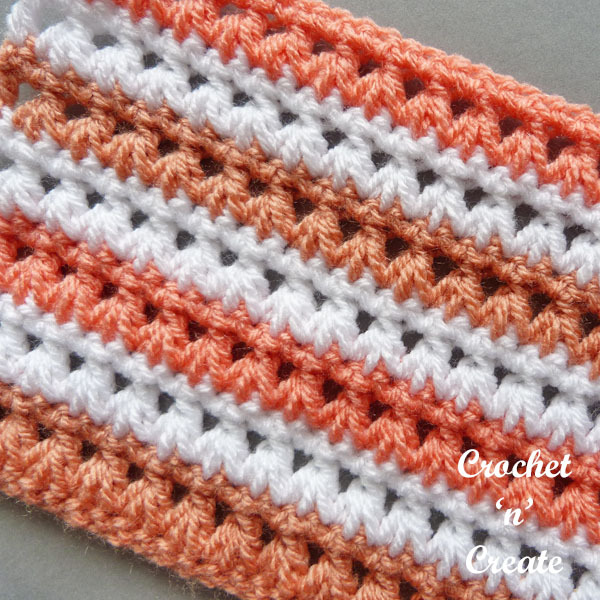 This entry was posted in Crochet Stitches, crochet tutorial and tagged crochet, crochet stitches, crochet tutorial, How too on 14th March 2019 by crochetncreate. 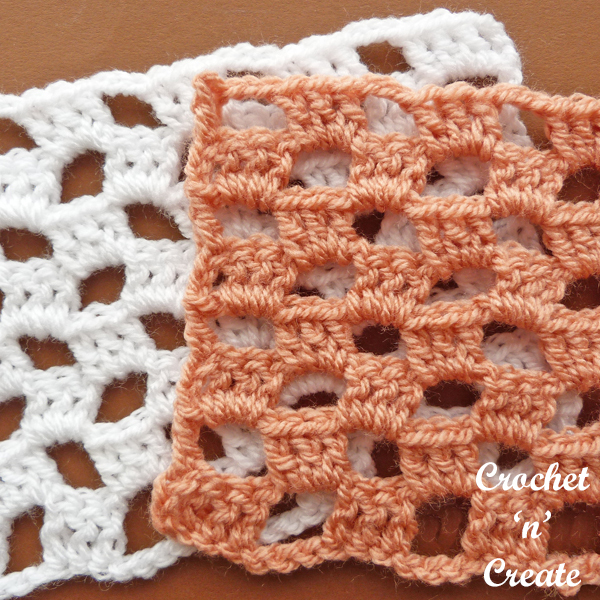 Leaning Groups Stitch Tutorial – A lacy crochet stitch for use on table centers, plant pot mats, ladies shawls etc. It is an easy one row repeat design. Scroll down the page for USA and UK formats. This entry was posted in Crochet Stitches, crochet tutorial and tagged crochet, crochet stitches, crochet tutorial, How too on 7th March 2019 by crochetncreate. Pebble Stitch Crochet Tutorial – Like the name suggests this stitch has a small bobbly effect that looks like pebbles, a sweet fun design that has a visual textured look and is worked over an easy 4 row repeat. This entry was posted in Crochet Stitches, crochet tutorial, How To and tagged crochet, crochet stitches, crochet tutorial, How too on 28th February 2019 by crochetncreate. 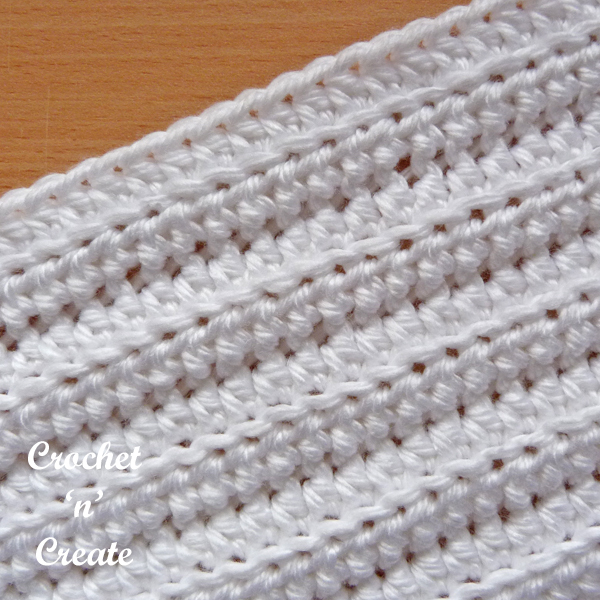 Half Double Crochet Rib Stitch – Ideal stitch for use with scarves, hats, sweater etc. Learn how to crochet it from my free instructions below. This entry was posted in Crochet Stitches and tagged crochet, crochet stitches, crochet tutorial, How too on 21st February 2019 by crochetncreate. 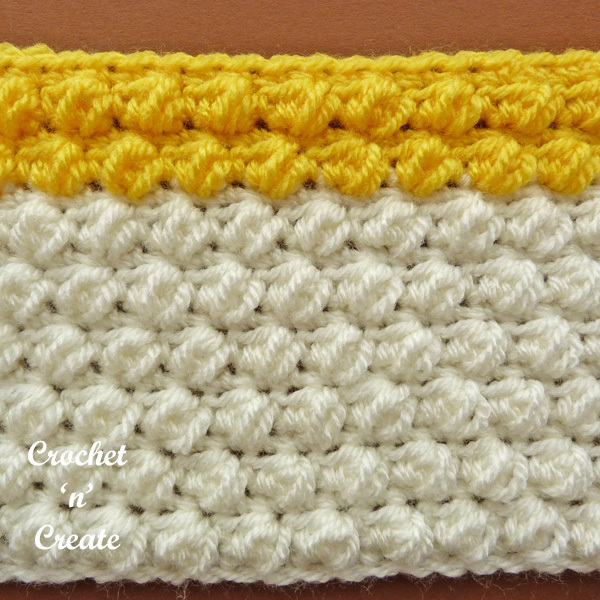 Crochet Lemon Peel Stitch – An all over textured design that is easy to learn and looks beautiful when made. A simple one row design that is quick to produce, if you use a thick yarn and large hook it grows very quickly and will produce lovely warm and cuddly afghans and baby blankets. This entry was posted in Crochet Stitches, crochet tutorial and tagged crochet, crochet stitches, crochet tutorial, How too on 14th February 2019 by crochetncreate.